Online, Ray-Ban Remix has always been an incredible customisation service, but it asks a lot of the user. In store, experts guide you through the process. 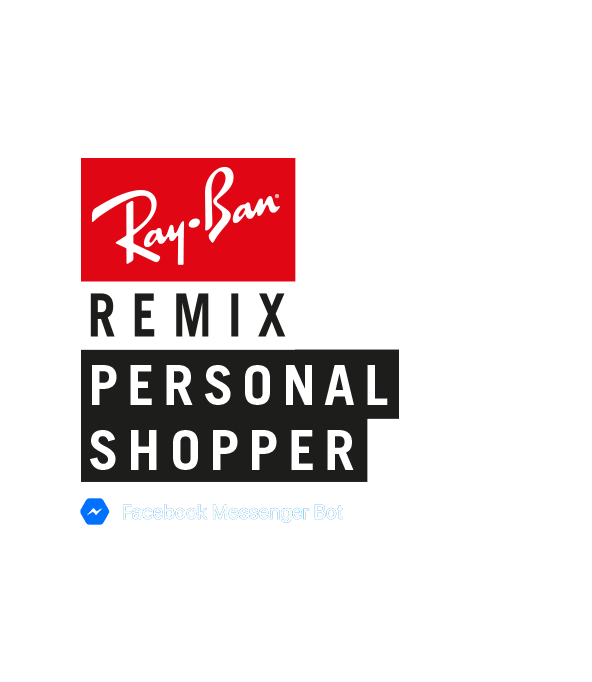 A Facebook Messenger bot can bring the easy try-on and knowledgeable staff of Ray-Ban stores to the convenience of online shopping. Glasses are a definite try-before-you-buy product. We leveraged Ray-Ban’s existing Virtual Try-On technology as an iframe within the Messenger app. Users send one short video of all sides of their face, and the bot uses this to show them frames from different angles on their face. From here, it’s just two taps to ask a friend what they think. Personal Shopper goes a step further, using image analysis to recommend frames to suit the user’s face shape and remove the daunting ‘blank page’ feeling. As conversation continues, the bot learns what the user likes, to make smart recommendations. The best way to tell if you like a pair is to try them on, so we begin by letting the glasses do the talking. Short, punchy multiple choice questions give the conversation personality and help Personal Shopper find frames the shopper likes. When the user shows an interest in a particular style, then Personal Shopper offers more detail about the style’s heritage, quality materials and Ray-Ban’s brand story as an opt-in. Messenger is designed to share things with friends. Putting our product here makes it super quick and easy to get a friend’s opinion. Full payment functionality is also now baked into Messenger, so customers can buy their chosen glasses without leaving the app. 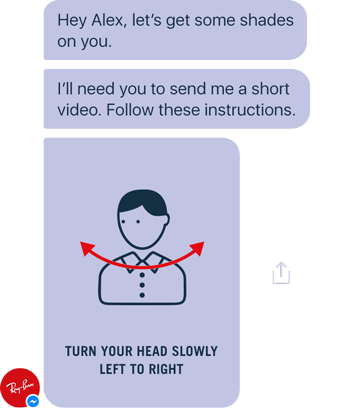 The Personal Shopper bot lets Ray-Ban tap into private conversations (dark social) in a natural way, on a platform used by more than a billion people every day.